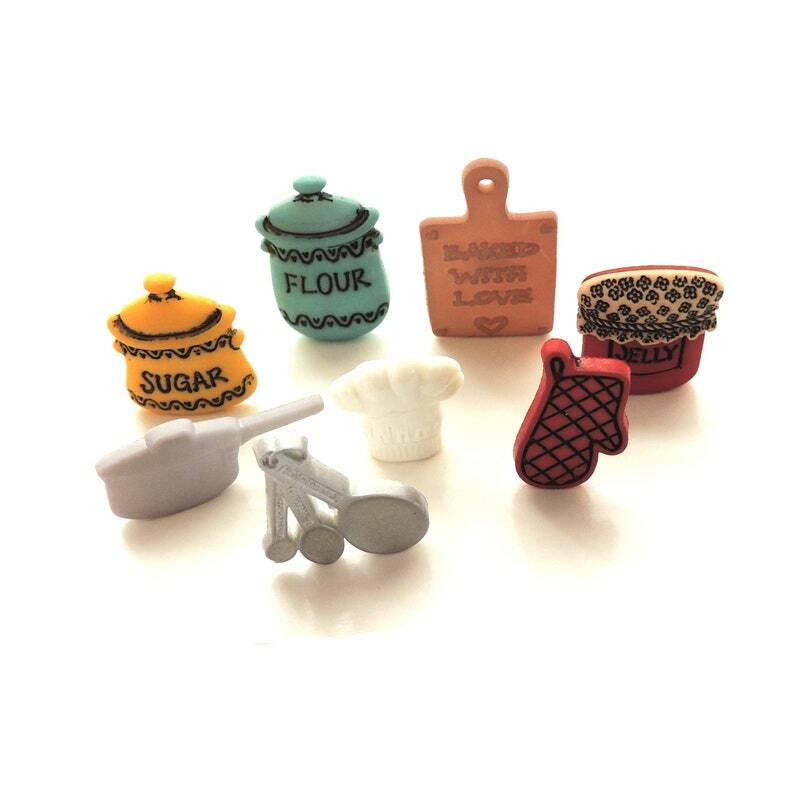 Everyone will love whatever you make with these adorable In the Kitchen Buttons! Perfect to a little bit of the kitchen to your next sewing, scrapbooking, hair craft, or whatever you can think of project! You will receive the assortment shown. All buttons measure betweein 7/8" and 1 1/4" in height.